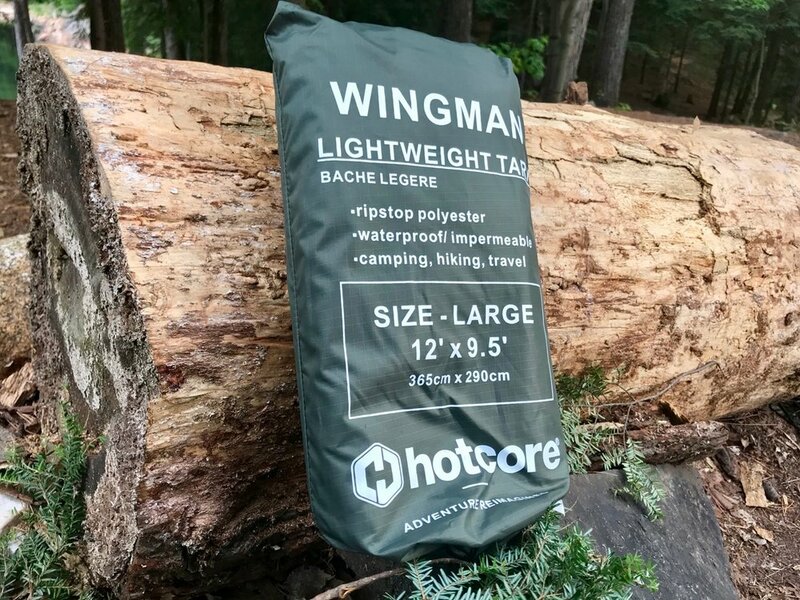 The Hotcore Wingman Tarp is another great product from the Canadian company. It comes in two sizes and is already seam sealed and comes with pre-attached guylines right out of the bag. Extra UV protection coating for longer life. It’s nice that the tarp comes with rope pre-attached (you don’t have to buy any). They are bright orange which make it easy to see and not run into at dusk. If one should ever fray they aren’t part of the tarp itself and you could easily restring a new rope or length of paracord. I could set the entire tarp up solo, re-adjusting the tension and height as I kept circling the tarp but it’s far easier with two people. There is a grommet on either end of the peak so you could tie a heavier duty rope in the case of really strong winds or erect it using trekking poles. This tarp was made with long term use in mind. All corners are heavily stitched including the entire perimeter of the tarp (which also helps with abrasion against trees) and the entire tarp is covered in extra UV coating. The best part of the tarp is that it isn’t perfectly square. With its tapered wings (known as a catenary cut) it can actually withstand greater winds and water loads than your typical tarp (This design also shaves off a few grams). You can set up the Wingman with a tighter pitch creating more rigidity, and with an approaching high wind storm you can pitch it fairly close to the ground (although a perfectly square tarp would give you better coverage right to the ground). Rain storms streamed off the Wingman instead of pooling into large collections that need manual dumping. 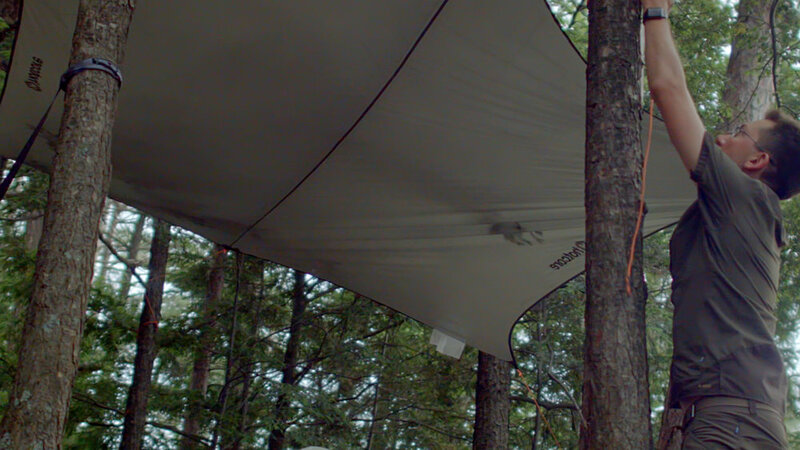 Having a high peak, the tarp can be set up in multiple configurations with one wing higher than the other depending on nearby vegetation. Our ‘large’ size tarp was just the right size to protect a two person tent or a cooking setup. Find a Hotcore tarp at a dealer near you and stay connected with Hotcore by following them on Facebook and Twitter. Full disclosure: At the time of review, Hotcore supports Traversing by purchasing banner ads. We try to remain impartial while writing this review and hope to bring you an unbiased look at this piece of gear.